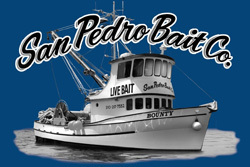 San Pedro Bait provides the highest quality bait for the local Sportfishing Fleet operating out of 22nd Street Landing and L.A. Harbor Sportfishing in San Pedro, Long Beach Sportfishing in Long Beach, Davey's Locker and Newport Landing in Newport Beach as well as privater boaters in the local areas. We currently operate two bait receivers. One in L.A. Harbor just outside and west of the main channel and the other bait receiver is located a quarter mile inside the main entrance to Newport Harbor. 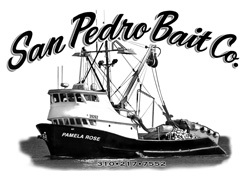 The San Pedro location operates year round and Newport Beach is open for business early April the mid November. We are open 24/7 between Spring and Fall and sunrise to sunset during the winter months in San Pedro. Please feel free to contact us for current bait status, to get bait after hours, or just come on by. The San Pedro barge monitors Ch 11 on the VHF and Newport monitors Ch 79. We recently started a frozen bait company and currently provide excellent quality frozen bait. We currently have several outlets for our frozen bait. Please click on the Frozen Bait link to find out where you can purchase our frozen bait. We look forward to serving you and hope you have a great time fishing.